Vinyl records have become vintage items, and with the proliferation of downloadable music files, many think compact discs are headed in the same direction. Arguably, only one thing has prevented the extinction of CDs: Many a music aficionado has claimed that the sound quality of downloadable music is inferior. 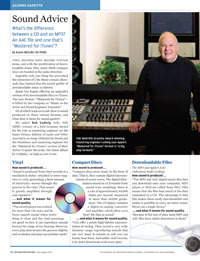 All of which leads us to ask: How is sound produced on these various formats, and what does it mean for sound quality? 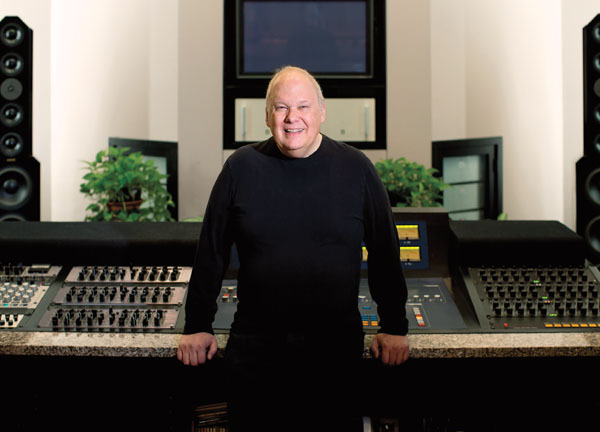 We asked Bob Ludwig ’66E, ’01E (MM)—winner of a 2012 Grammy Award for his role as mastering engineer on the Super Deluxe Edition of Layla and Other Assorted Love Songs (Polydor) by Derek and the Dominoes and mastering engineer for the “Mastered for iTunes” version of Mylo Xyloto (Capitol Records), the latest album by Coldplay—to help us sort it out. How sound is produced . . .
. . . and what it means for sound quality.